We want to make medical billing easier for you! "Now we can concentrate on our patients, rather than their billing!" 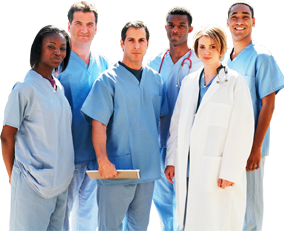 How many physicians are in your group practice? The company’s objective is to establish itself as the most recognized and respected medical billing service in the Treasure Valley. To achieve this vision, the company plans to provide a great work environment utilizing the collective skills of each employee, apply the highest standards of excellence and ethics in every facet of our business, ensuring customer satisfaction at all times, and positively contributing to our community and environment.